Business Directory - Products, Articles, Companies How To Remove A Tree Stump? Have atree stump that is an eyesore? Do you want to remove a tree stump that is taking up valuable space in your yard? 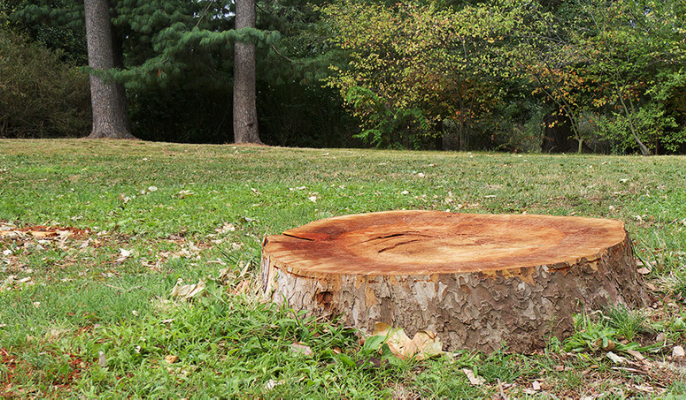 A tree stump can be hazardous and cause potential injury to children or elderly folks. Soif you are looking for a safe and effective way to remove a tree stump without breaking your back, we have just the solutions to get the job done. A heavy-duty tree stump grinder can reduce a tree stump in minutes.Simply choose a professional arborist for stump grinding services to ground the stump into smaller pieces.It can then be used as mulch that enriches the trees and plants in your yard. It a safe and effective method of stump removal where professional arborists use a heavy-duty tree stump grinder to reduce the stump to small chips. Yet another eco-friendly and safe method is to remove the whole stump along with the root ball of the tree. Usually, the root ball of a tree is three to four times the size of the tree and removing it can be a complex process. Therefore choosing experienced and professional arborist near you is best recommended to cut off the root system and remove it to ensure no re-growth. An easy and inexpensive method of stump removal, this uses strong chemicals to remove the tree stump.You will need a drill, a chainsaw, potassium nitrate, an axe and fuel oil or kerosene. Drill 1-2-inch holes across the stump at a distance of every three inches and 10-inches deep, from the top of the tree stump, as also the side of the tree stump at 45-degree angle. Next, pour liberals amounts of potassium nitrate into the holes. You may also use potassium nitrate stump remover that is easily available over the counter and has fine granules that are more efficient. Then leave the stump for a month or six week and later use an axe to break the stump. Alternatively, you may pour kerosene inside the holes and ignite the stump to let it burn and smoulder until it is gone. Similar to burning a tree stump, you can remove a tree stump by rotting it using a high nitrogen substance like Potassium Nitrate stump remover and chipping off the pieces of stump as the stump gradually softens. Pour Potassium nitrate stump remover, available over the counter into the holes and pour water into each hole. Next, soak the ground all around the stump and cover the stump with a plastic tarp to help retain the moisture. You may also apply organic mulch over the plastic tarp and occasionally soak the stump and the ground around it, then reapply it tarp and mulch to speed up the process over a period of 6 weeks until the stump rots. You may then chip off pieces as the stump gradually softens and later fill the hole with dirt as needed. Not all tree stumps are equal! Removing a tree stump is potentially dangerous, thus requires professional training and experience. Looking for affordable and professional tree cutting Sydney near you? As your local arborists for tree removal Sydney, we offer affordable emergency tree removal services 24/7 for guaranteed satisfaction. Call now for a free no-obligation quote. Benefits Of High Quality With Access To Get Lots Of Features	Residential Electrical Maintenance the Utmost Requirement!